Leading Pan-African telecommunications company, Liquid Telecom has joined the fight against cholera through partnering city of Harare to refurbish water and sewer infrastructure in the high density suburb of Glen Norah. The project is funded to the tune of $1.5 million. 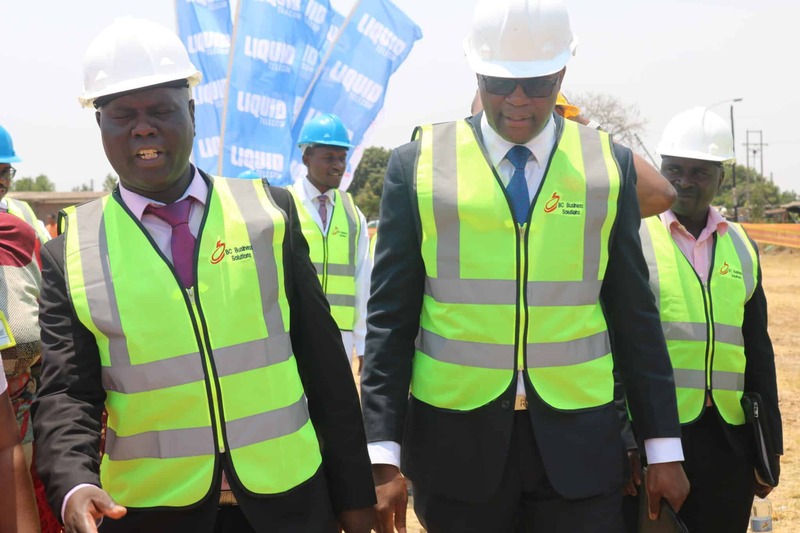 Liquid Telecom officials in the company of the Harare City Mayor, Herbert Gomba and delegates from the Ministry of Health and Child Care toured some of the sites in Glen Norah where the operator’s engineers have begun civil works of laying new infrastructure. Martin Mushambadope, Liquid Telecom Zimbabwe’s Deputy Managing Director said his company identified worn out sewer and water pipes as the major cause of the cholera outbreak. He alluded that though people may be taught to exercise high hygiene standards, the cholera threat will remain prevalent as long as the infrastructure problem is not solved. “The trenching that we are witnessing today is Liquid Telecom repairing and revamping broken sewer pipes and water reticulation infrastructure. Such interventions are directed at attending to the problem and not the symptoms.” added Martin Mushambadope. Harare Mayor Herbert Gomba applauded Liquid Telecom’s gesture saying the council is forever grateful to receive such a timely boost in its bid to eradicate the cholera outbreak. “Liquid Telecom’s social corporate responsibility drive is commendable, and I wish to take this time and moment to convey our heartfelt thanks to the company.” said Gomba. The city’s worn water and sewer infrastructure has been identified as the root cause of cholera outbreak citing unsecured delivery of clean water to residents and poor disposition of sewage due to broken pipes along the sanitation pathways.